We’re mere weeks away from the second-largest League tournament of the year. Conqueror Varus will be this year’s featured skin for the Mid-Season Invitational, the second-largest international League of Legends tournament of the year. The skin was included in yesterday’s PBE update shortly after Patch 8.7 was pushed to the game’s live servers, but that doesn’t mean it’ll come out exactly with Patch 8.8 in two weeks. Instead, it’ll probably be held until right before MSI starts in May, which is what happened with Conqueror Karma last year. 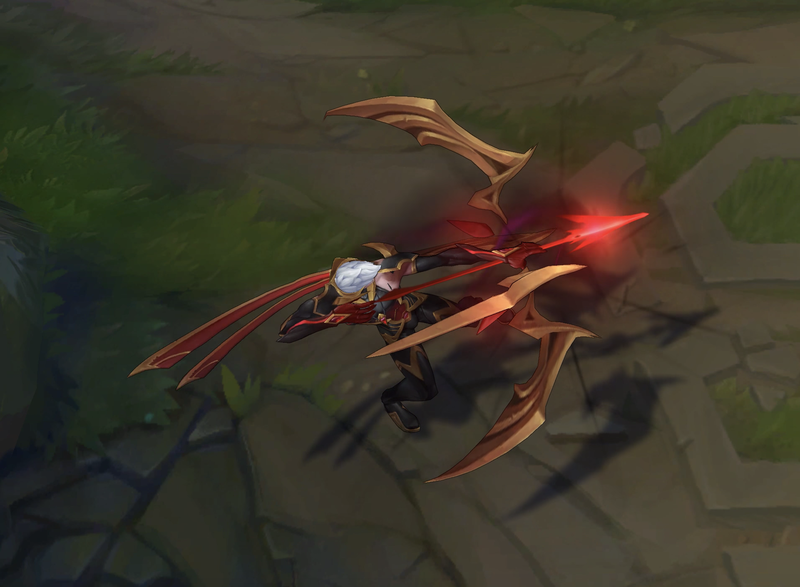 Although Riot hasn’t confirmed anything about the skin yet, aside from the fact that it was loaded onto the PBE, we can assume it will also serve the same purpose that Conqueror Karma did last year, too—boosting the MSI prize pool. Sales from Karma’s MSI skin last year were added into the winner’s purse, boosting the prize pool by about $1.4 million, and that was only after the group stage was finished. Conqueror Varus shares a lot of similarities with his Karma counterpart. He has the same features and black, gold, and red color scheme. From the looks of it, he’ll also have custom ability effects and a new recall, but his sound effects most likely won’t be altered too heavily. After all, Karma’s skin was only 975 RP, and typically skins of that price aren’t as elaborate as the more expensive ones. That doesn’t mean it doesn’t look cool, because it definitely does, but it has to be cheap enough to convince more players than usual to pick it up to support their favorite teams at MSI. Or, you know, at least support the winners. MSI begins about a month from now on May 3.